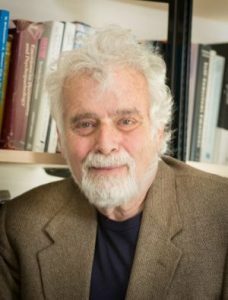 He has written and edited over 35 books including, Social Cognition and the Acquisition of Self, (1979); Children’s Emotions and Moods, (1983); Shame, The Exposed Self (1992); and Altering Fate: Why The Past Does Not Predict The Future (1997), which was finalist for the 1998 Eleanor Maccoby Book Award. In addition, he has had published over 450 articles and chapters in professional journals and scholarly texts. He also edited Handbook of Emotions (1993; 2000; 2008; 2016) which was awarded the 1995 Choice Magazine’s Outstanding Academic Book Award, The Cambridge Handbook of Environment in Human Development (2012) and Gender Differences in Prenatal Substance Exposure (2012), and has recently published the third edition of the Handbook of Developmental Psychopathology (2014). His latest book, The Rise of Consciousness and the Development of Emotional Life, was published by Guilford Press (2014) and has won the William James Book Award from the American Psychological Association. Among his honors, Dr. Lewis is a Fellow of New York Academy of Sciences, American Psychological Association, American Association of the Advancement of Science, as well as the Japan Society for the Promotion of Science. In 1995, he was ranked by a University of Notre Dame Study, number 1 in terms of the impact of scientists who are most referenced and productive in the field of developmental sciences and is currently in the top 1.5% of scientists referenced in the Social Science Index. In addition, Dr. Lewis received the 2009 Urie Bronfenbrenner Award for Lifetime Contribution to Developmental Psychology in the Service of Science and Society from the American Psychological Association, as well as the 2012 Hedi Levenback Pioneer Award from The New York Zero-to-Three Network for his pioneering research in child development. The Society of Research in Child Development announced the 2013 award for the Distinguished Scientific Contributions to Child Development, in recognition of Professor Lewis’s lifetime contribution to the scientific body of knowledge and understanding of children’s development. * FABBS would like to thank Dr. Marsha Weinraub for nominating Dr. Lewis for this honor and for leading the effort. Would you like to honor Dr. Lewis? It’s not too late to have your name added to the list of donors! You can make your donation to Dr. Lewis’ In Honor Of… campaign at anytime.